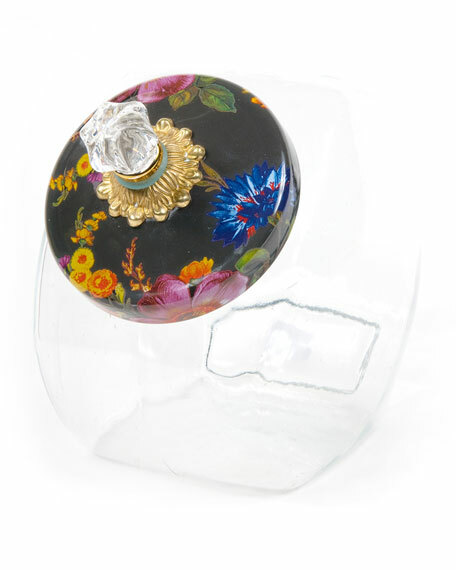 Lid made of heavy-gauge, hand-glazed steel with hand-applied floral transfers. 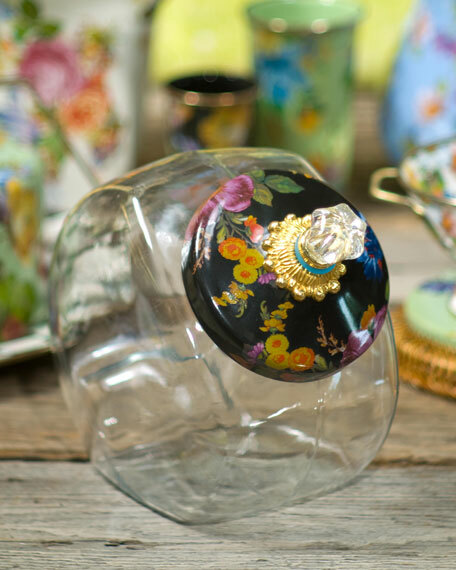 Knob made of brass and glass. 6"W x 8.5"D x 8"T; holds 1 gallon.